Golfing as a sport and pastime requires excellence to be appreciated. This requires persistence and skill. Knowing that majority of your strokes are going to be putts, the aim is to reduce your score with less putts. As people give more attention to long balls, indoor putting greens ensure that your short game is not left out. 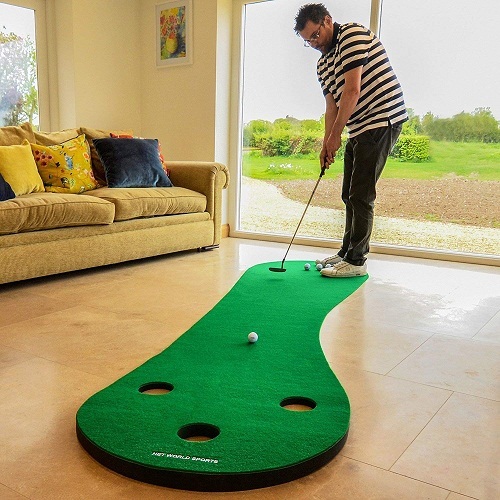 Indoor putting mats ensure that you get a better repertoire from the comfort of your home, office, or any other facility. They also guarantee fun and clear any doubt on how effective they are. Here, we have reviewed 10 of the finest indoor practice putting greens for you to get the perfect product, and improve your confidence and game. 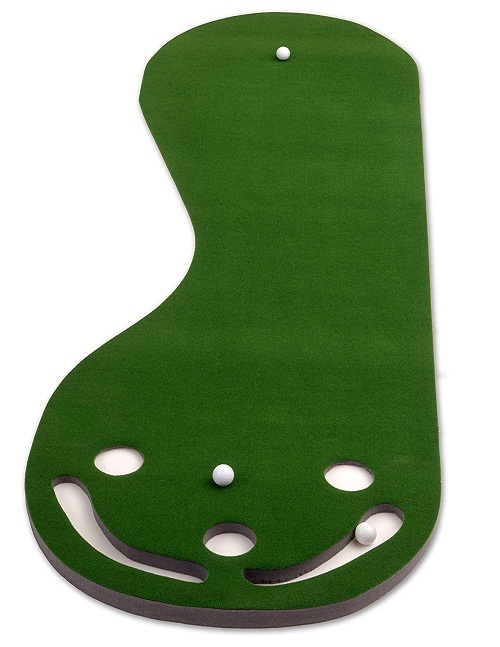 FORB Home Golf Putting Mat 10ft Long – Conquer The Green in Your Home! 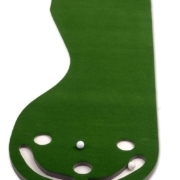 The Putt-A-Bout is made of PET resin, a great quality material which mimics the feel of tournament typical greens. The kidney-shaped design boosts the quality of play, as against dour rectangular surfaces. 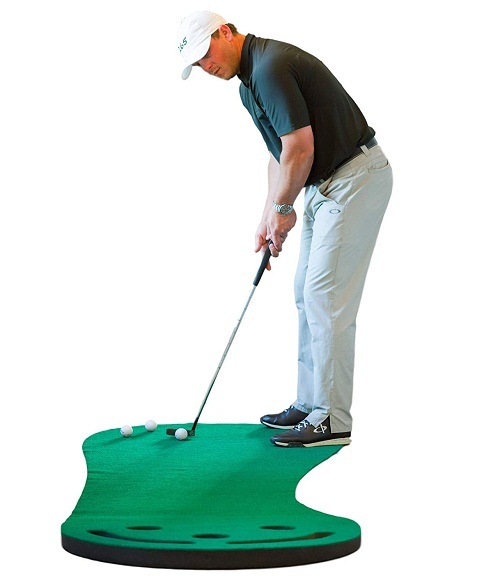 With 3 holes, putting can be practiced on a higher level, and from a variety of positions. 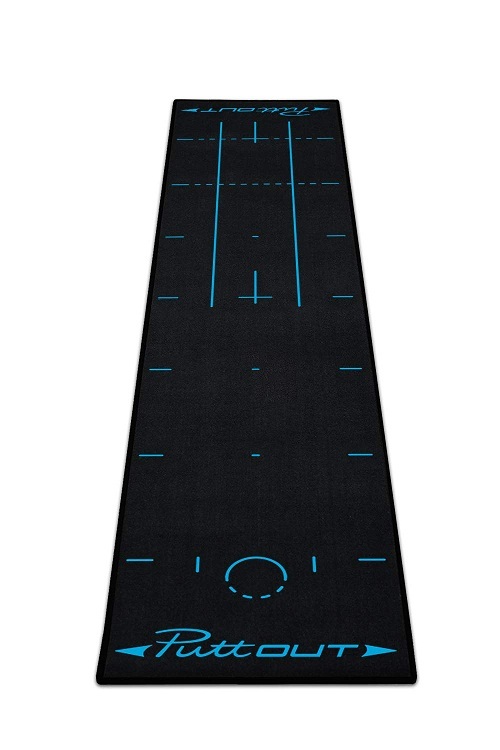 Its surface prevents skidding, and it is large enough to allow diagonal putts. With all these features, this mat is highly recommended for anyone; professionals and enthusiasts alike. Have you ever been in awe of the level of perfection seen in some golfers? The Accelerator Pro Putting Mat with Ball Return takes you steps closer to perfection with alignment guides at 3, 5, and 7 feet. This reinforces consistency in your overall game. It also has a ball return features to help with continuous practice and remove interruptions. At the cup, there is an upslope and a true roll surface that resembles actual putts found out there. Its dimensions of 9 feet by 16.25 inches ensures it is perfectly suited for any room. To make your putting strokes more accurate, your shoulders should do the work. Irrespective of your level of experience, the Shaun Webb’s Putting Mat helps you to get a firmer stroke. The surface is made of high quality material to ensure that the bottom of your putter does not scratch. The wide design of this mat gives you a variety of options. If you are really a golf enthusiast, then this option is perfect for you. 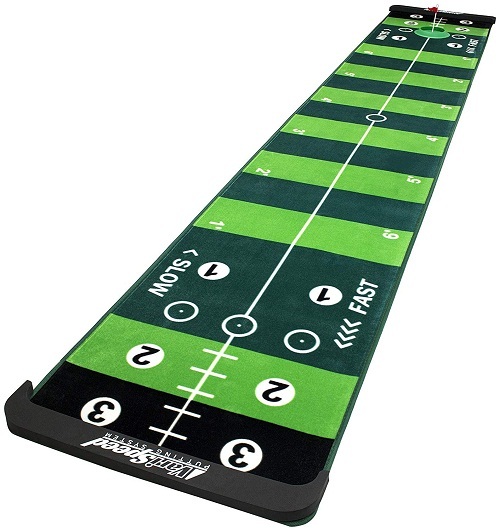 As the name suggests, this artificial putting green promises nothing more to be desired. The mat is as complete as it could be. It helps you hone your skills with 4 different green speeds being made available, a distance control put in place, a putt tracer for immediate feedback, and a stroke guide to provide the right that you need. Also, the design of the mat and the premium materials used to produce it makes you enjoy the very best of your golf, while also preparing you for the bigger stage. Practice is meant to be fun. The VariSpeed guarantees this. Being made of 100% polyester material, this practice putting mat gives quality fibres. There are adjustable speeds with 4 stimp tested speeds, depending on how the mat is brushed. The visible ball traces provide for proper analysis of your technique. The brush mat is used for erasing these traces. The custom breaks have an adjustable break wedge system which make putting as realistic and versatile as possible. The booklet that comes along with it provides training exercises and nothing stops you from getting the most out of it. It has smart guides which judge the distance and direction of put. 6. 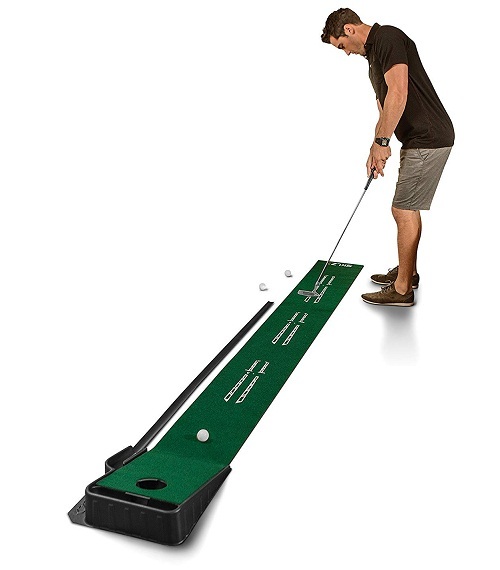 FORB Home Golf Putting Mat 10ft Long – Conquer The Green in Your Home! Make yourself at home with the FORB Home Putting Mat. 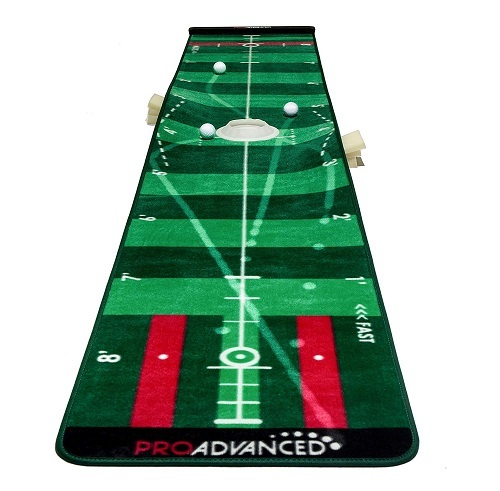 Made of EVA foam and rubber matting, you have no problem enjoying the most realistic of playing surfaces. Three putting holes bring variety to the table and help you master the green. It is also very easy to roll up and is tailored for any surface because of the rubber and polyester material it is made of. What more? It is decently priced. Achieve your dreams with the FORB home putting mat! 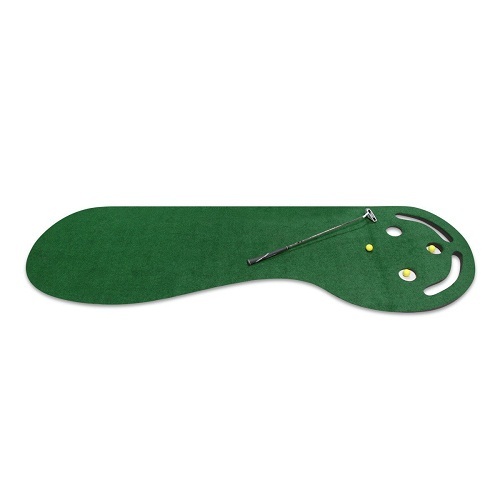 Get out the best in you with the Get out Putting Green. With holes smaller than the standard size, you get to work on your precision and accuracy. A ball return system saves time and allows more efforts to become consistent with training. It is lightweight, weighing less than 3 pounds and is also very easy store or roll out when needed. If you are seeking to really improve your game and build your confidence, you need to get out of your comfort zone and go with this green. Want to get value for your bucks? Then this is definitely for you. 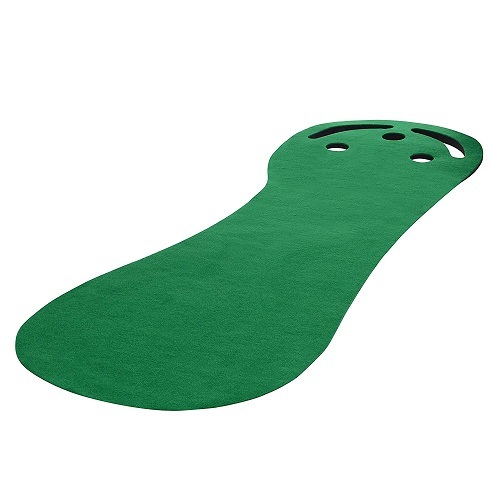 The Intech 3 Hole green boasts of a 9 feet by 3 feet coverage, a non-skid surface, and 3 different holes on an inclined surface, just to make sure that your strokes become perfect and your putting skills are taken to the next level. It is portable, easy to set up, and comes with a variety of options to banish monotony during practice. The passion for golfing can make you long to practice it at virtually anywhere. The Milliard Premium Green settles this problem once and for all. 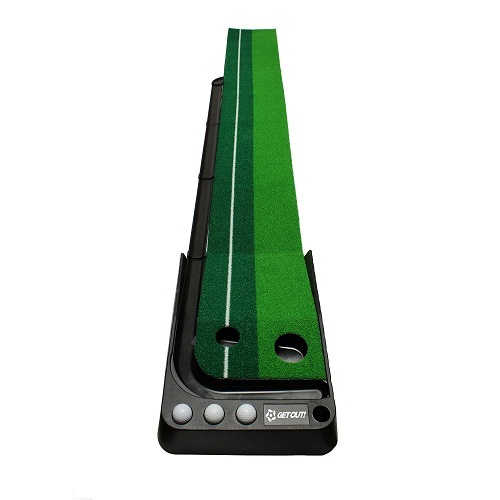 It provides different ranges and angles to practice until your strokes and putts become flawless. It has a 7% incline built in to harness accuracy and power. The rubberized EVA foam backing brings the outdoor setting into your room. Anywhere you find yourself, the Milliard Premium mat will fit in and give you the best quality. The Puttout Pro makes you fall in love with golf over and over again. It is easy to set up, and provides a smooth surface for playing. It comes with alignment guides for every step of the way. A stimp meter reading of 10 guarantees a medium to fast paced green and trains your speed. The PuttOut Pro encourages you to be the best putter you can be! The rewards that come with being a great putter are often overwhelming. Each of the products listed above aim at making you a better golfer overall. Also the Pros and cons listed help you to find the one that perfectly suits you. We recommend the ProAdvanced ProInfinity, Putt-A-Bout Par Three Putting Green, SKLZ Accelerator Pro, FORB Home, VariSpeed, Shaun Webb’s, Intech 3 Hole, PuttOut Pro, Milliard Premium, and Get Out putting greens because they are among the very best out there. Check them out today, and make the decision to be a better version of yourself. Contact us now!